Staying active physically is important as you age. But exercising the brain can also have some important health and disease prevention benefits. In fact, a 2014 study conducted by the Wisconsin Alzheimer’s Disease Research Center found that participants who reported playing memory games at least every other day performed better on standard memory tests compared to those who played less frequently. The study assessed 329 older adults who were free of dementia, but at increased risk of Alzheimer’s based on family history. According to the Alzheimer’s Association, the number of people with the disease may nearly triple to 16 million by 2050, barring the development of medical breakthroughs to prevent, slow, or stop the disease. 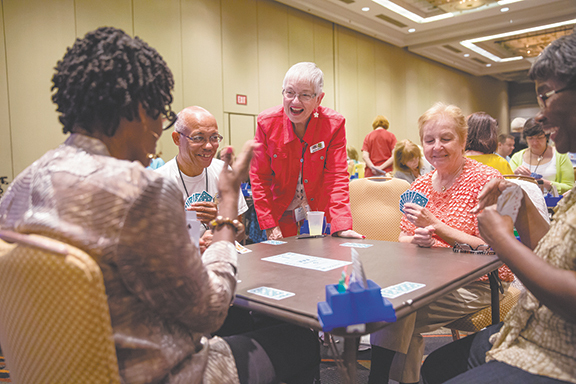 For older individuals, getting involved in social and cognitively stimulating activities, such as the game of bridge, is more important than ever. 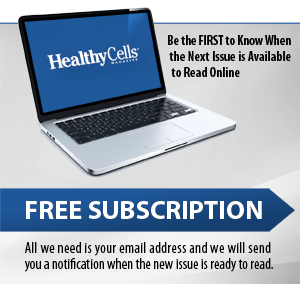 “In our study, we found that individuals who participated more frequently in activities such as card games, checkers, and crossword puzzles have increased brain volume in areas that stimulate memory, and affect the development of Alzheimer’s disease,” said Dr. Ozioma Okonkwo, assistant professor of medicine at the University of Wisconsin–Madison. The card game of bridge is one of the most popular games of skill and memory, involving math and social skills, as the players deal the cards, auction, play the hand, and score the results. According to the American Contract Bridge League (ACBL), an estimated 25 million people in the U.S. play the game socially in clubs or homes, competitively at tournaments, or online. With more than 167,000 members and 3,200 clubs nationwide, the ACBL offers a number of programs developed to make learning the game simple. Visit learn.ACBL.org for sessions on how to play, or to find a club in your area. The game also attracts business-oriented minds, including two of the smartest men in America — Warren Buffet, 84, and Bill Gates, 59. The duo has been particularly supportive of promoting bridge among youth, given the game’s competiveness and unlimited series of complex calculations. In addition to card games, research shows there are a number of other activities that help boost brainpower. For example, a game of checkers, or a crossword puzzle, can offer plenty of mental exercise, forcing the brain to be curious and engaged. Remember to mix up these mental exercises often, which will call on different parts of the brain. Whether you prefer a rousing game of cards with friends, or a peaceful crossword puzzle alone, engaging in such activities can help sharpen your mind, which can help you to better enjoy life for many years. To learn more about the Villas of Holly Brook, and Reflections Memory Care, please visit villasofhollybrook.com, reflectionsmemorycare.net, or call 855-20-VILLA (855-208-4552). Join us for a personal tour and stay for lunch.